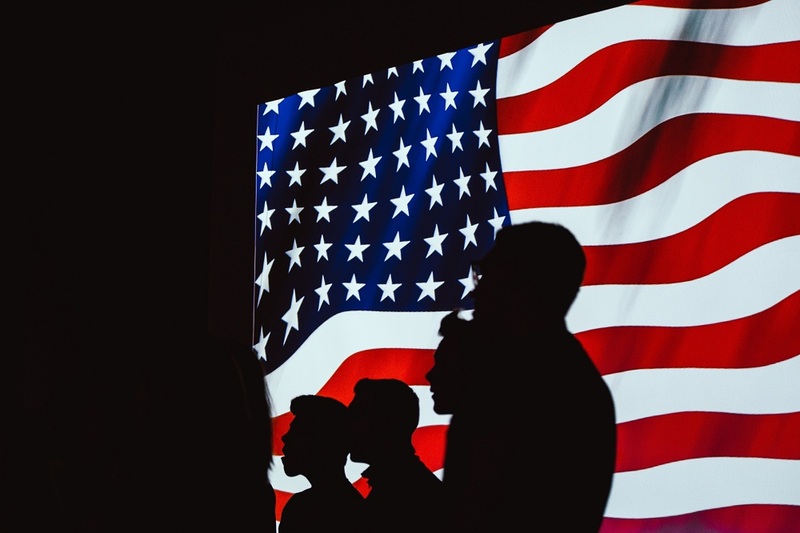 After the 2016 American elections, many social scientists and journalists began questioning the virtues of democracy. After all, how could a healthy, educated democracy elect a reality show host with a string of scandals? The problem with calling Trump a threat to democracy is that we have a really narrow idea of what it looks like when democracies fail. We imagine democratic failure as being some spectacular event a military coup or an illegal power grab or the declaration of martial law. We don’t really imagine it looking like this. But political scientists do, because in a country like the US, the death of democracy is going to start off looking kind of normal.So normal, you might not even notice it’s happening until it’s too late. 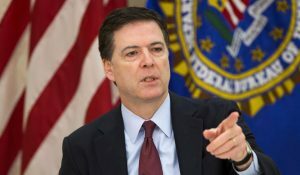 Trump’s firing of former FBI Director James Comey has gotten a lot of media attention, in part because it’s really easy to explain why it matters.If Trump fired Comey over the Russia investigation that would be obstruction of justice, which is a crime but a lot of what worries political scientists about Trump is tougher to explain in a soundbite like that. Because for the most part it’s stuff that’s totally legal. It turns out that government officials can exploit weaknesses in the law in ways that are destructive to the rule of law as a whole. According to Aziz Huq<link:https://www.law.uchicago.edu/faculty/huq>, who coined the term “democratic backsliding”(and he’s a law professor at the University of Chicago”, “backsliding” is what happens when a democratically-elected government, starts attacking the institutions that make democracy work. Huq argues that what makes backsliding so dangerous is that it’s really hard to know when it starts.In many other countries the way that we see democratic backsliding happening is through a series of discrete legal changes, each of which is on their own completely lawful. A great example of what backsliding looks like is Venezuela’s former President Hugo Chavez. Chavez was elected as a democratic populist, but over time he changed. 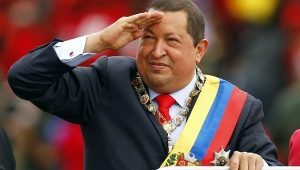 And while remaining popular Chavez has been anything but democratic.He got frustrated with opposition from courts and the media, so he started doing things like firing judges, using anti-defamation laws to silence journalists, and even describing unfriendly news organizations as quote “enemies of the homeland”. What’s scary about Chavez’s story,is that he didn’t need a military coup to screw up Venezuela’s democracy.The man who came to office by democracy, he’s doing everything he can just snuff it out. He did it legally, by slowly turning his supporters and political allies against the country’s democratic institutions. 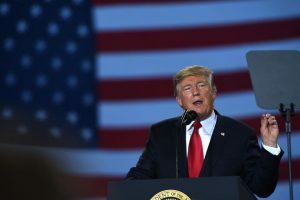 Autocrats in other parts of the world have gone after those institutions very early on in the process of backsliding.And that’s what worries political scientists about Trump. Trump shows a deep distrust of America’s democratic institutions. He lashes out at judges, calls journalists, the enemy of the people, accuses watchdog agencies of conspiring against him.He questions the legitimacy of an election that he won. His White House stonewalls reporters to avoid answering questions. He’s suspicious of the mechanisms that limit his authority.This is an unprecedented judicial overreach. And he encourages his supporters to be too.that is a catastrophic thing to be happening in a democracy. It’s how democratic backsliding starts, but the thing is none of this is illegal. As long as Republicans in Congress go along with it, there’s nothing to stop Trump from publicly criticizing basic democratic institutions. Our Constitution just doesn’t do a very good job of protecting us against certain kinds of democratic failure. Whether you’re in a moment of democratic backsliding really depends upon the character of our political leaders. Which brings us back to Comey and why it’s so hard to talk about Democratic backsliding without sounding paranoid. We live in a media environment that is really bad at putting things in context, that is designed to bombard us with breaking news and discrete pieces of information and that makes it hard to identify democratic backsliding when it starts. Because unless it clearly breaks the law, it’s really tough to explain why anyone Trump tweet or scandal poses a threat to democracy. When Trump calls a federal judge a “so called judge”, it’s just a one-off comment.Does anyone honestly believe President Trump is going to ignore this judge’s order because he’s a quote so-called judge? Trump calls the press the enemy of the American people. I don’t think that new media are well designed to tell this kind of story, because those media are designed to convey information in very small chunks. The real story is not the discrete action in a particular moment in time, there’s some bigger picture. Democratic backsliding is one of those things that you can’t really see from up close.It is only when you when you look at changes in the aggregate that one sees the effect upon democracy after, a set of institutions and practices.That doesn’t mean the Comey stuff isn’t important.Obstruction of justice is obviously a big deal. But some of the biggest threats to democracy are way less dramatic, way more normal looking.And if you’re waiting for the CNN cry on announcing that it’s time to panic, you’re going to be waiting for a long time. In the end though, I’d like to end on something President Obama said prior to exiting the presidency. He said he’d like to believe that America and its institutions are strong enough to withstand any single individual elected to office.